1.Orbits has its own energy and termed as energy level. 2.Electrons Revolves In An Orbit Then Neither Absorbs nor Releases Energy. 3.Electrons Absorb Energy Then It Becomes Excited And Moves Toward High Energy Level. In My Own Word I Am A Student Of First Year. 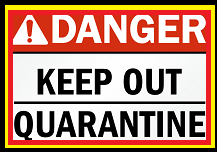 This Account @ammar1 is Under Quarantine! The Account is in The Hackers / Phishers Hand. Warning! Do not Interact with @ammar1 Account. Please Do Stolen Account Recovery ! and Contact @quarantine for Further Information. Congratulations @ammar1! You received a personal award!